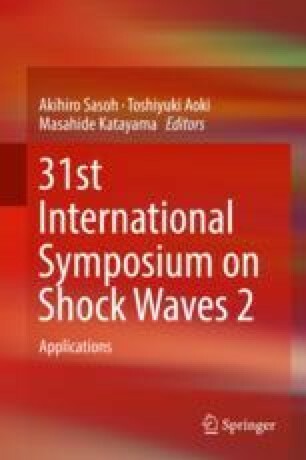 Surface effects resulting from the impact of an underwater shock wave have previously mainly been studied as a consequence of underwater chemical or nuclear explosions. Of the many complex features that occur, one is the development of surface jets or plumes. This particular aspect is examined by applying a shock wave impulse to the bottom of a circular disk submerged in a water bath. Different strength shocks are used with different depths of water. It is demonstrated that a wide variety of jets and plumes may be generated.